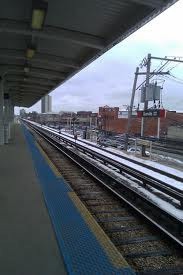 CTA conductor falls on El tracks Reviewed by Edgeville Buzz on December 1, 2010 . If you experienced delays on your morning commute yesterday morning on the Red Line, it appears that a conductor slipped and fell onto the tracks, according to CBS2 Chicago. The conductor fell on the tracks just north of the Granville stops, and luckily was not seriously hurt. The incident caused delays as the power was shut off from the tracks between Thorndale and Howard in both directions.